To live, is to love, travel & eat to your heart's content. I had bad cravings for pizza, Jason wanted to have pasta and Alfred just wanted to have something creamy (?!) haha. 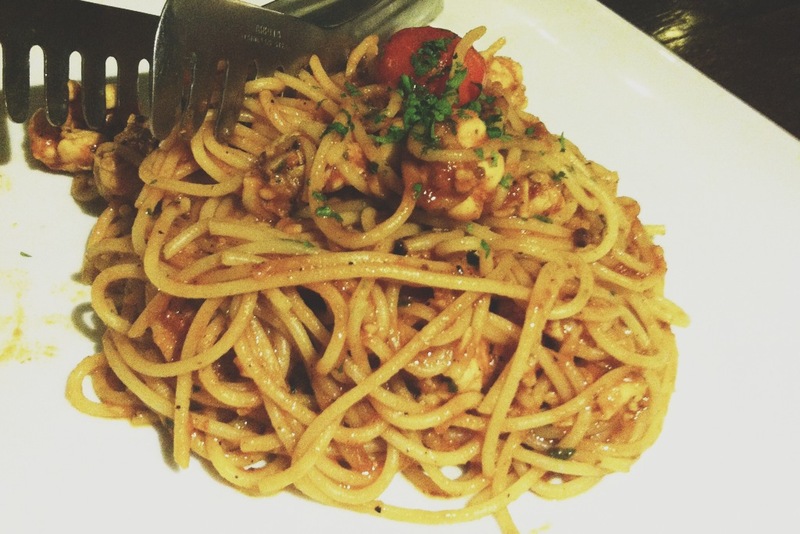 So I suggested La Risata since they are one of the best Italian restaurants in KL and it’s been ages since I last went. The place has been transformed from it’s old style restaurant to a much more modern and hip place. Totally loving the reno that they’ve done for the place. I saw lots of happy diners enjoying their food and acknowledging nods here and there. Looks like I wasn’t the only one 😉 Freddy even said that he’d gladly bring his parents here for dinner! For starters, we had the Antipasti Misti to share. The portion is recommended for 2 to 4 person but I thought 3 was perfect. 2 would have been a little too much to stomach though. 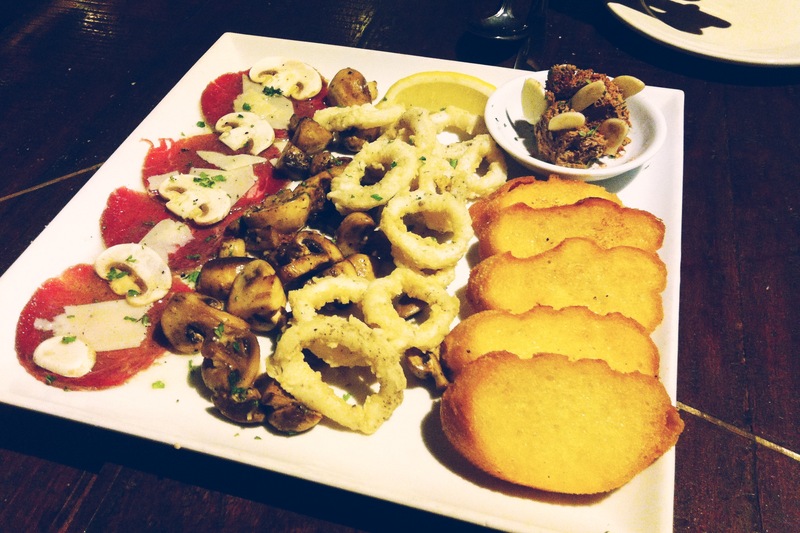 It has beef carpaccio, grilled mushrooms, squid rings & chicken liver pate. The beef carpaccio was excellent, if you’re planning to skip this platter, I would highly recommend for you to get this as your starter. Also if you’re a big fan of chicken liver pate, you’re gonna loveeeee theirs! We also ordered the Margherita pizza & Chorizo pizza. 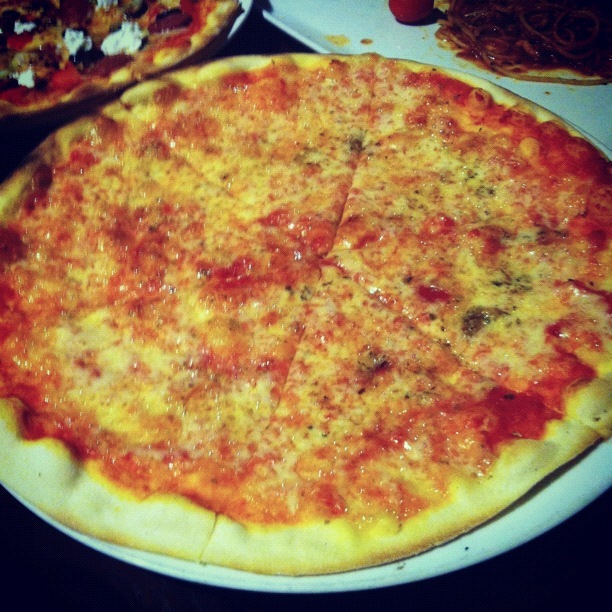 Obviously we got the Margherita cause that’s the pizza that I always go for whenever I’m having Italian. 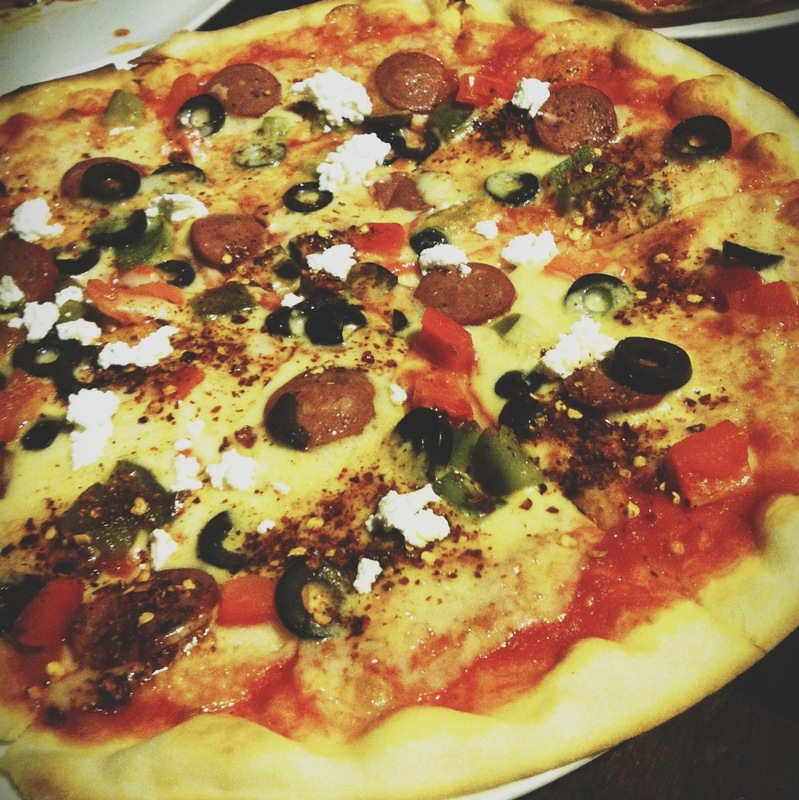 Boys obviously love their meats and could never live with just the plain old tomato ones… so we had to order a chorizo one as well, which I do not like cause it has capsicums, olives and heaps of chili flakes ;( I love the pizzas here, and they’re wood fired ones from their in house oven! We then had the spaghetti to finish off, but nobody wanted to please Alfred’s choice of creamy-based pasta so we ordered the lobster spaghetti while he was busy chattering away..
All in all it was a good meal. If you’re ever craving Italian, you know where to go 🙂 They have two branches, one at Jalan Ampang & the other at Damansara Heights. The one that I went to was the one at Damansara Heights cause it’s nearer to my place. It is at the back row, just behind OCBC bank & Victoria Station.